This study examines factors influencing intentions towards internet banking (IB) among bank clients in Saudi Arabia. Specifically, it examines the differences between IB users and non-users in their characteristics and in the factors that influence their intention to start or continue using IB. Design, Methodology, Approach; Questionnaires based on the Decomposed theory of Planned Behaviour (Taylor and Todd, 1995) were administered online to existing IB users (N= 651) and in person to non-users (n=408), all clients of Riyad bank in (Riyath), Saudi Arabia. Findings; Perceived Relative Advantage and Compatibility, Ease of Use, Self-efficacy, Resource Facilitating Conditions and Perceived Website Characteristics are significant in predicting usersÃ¢â‚¬â„¢ intention to continue using IB, but not in non-usersÃ¢â‚¬â„¢ intention to start; for non-users, only Perceived Trust and Subjective Norms are significant. Practical Implications; BanksÃ¢â‚¬â„¢ strategies to encourage adoption of IB should include two dimensions, Non-users should be targeted by emphasising safety, security and social acceptance; users by enhancing the features important to them, with website design of key importance. Originality and value; the research refines and extends the original DTPB model with the addition of a new construct, Website Features. It confirms and clarifies the distinction between technology users and non-users suggested in previous research. It also provides insights from a novel context, Saudi Arabia, contributing to cross cultural understanding of technology adoption. Abdullatif Alhudaithy. "The Differences between Online Banking Users and Non-users. 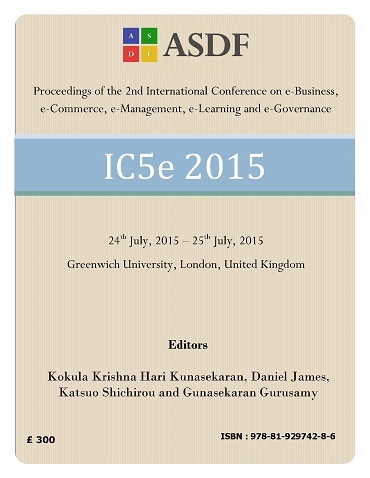 "ÂInternational Conference on eBusiness, eCommerce, eManagement, eLearning and eGovernance (2015): 26-38. Print.